CLMT: Nominating Committees’ role as elders, naming and nurturing gifts. Let’s bring sensitivity and openness to a deeper, broader, and newer understanding of this role. Quakers have some habits of the heart and thinking about nominating that would be good to shake loose and open up some to new light and energy. Joan Liversidge facilitating. T1—In the Shade of our Ancestors: Trees play an integral role in evolution and cultural practices. We are called to live our Stewardship Testimony through conscious caring for our landscape. Following a brief introduction indoors, the group will participate in an informative, educational nature walk around campus, providing suggestions for use in home or Meeting landscape. Sue Hunter is a Professional and Career Horticulturist, Grower, Forester; David Hunter is our BYM Camp Property Manager. T3—Friends Committee on State Legislation: Chesapeake Quarterly Meeting invited all MD. Friends to consider forming a state organization equivalent to FCNL. How would it work? Could non-Friends participate? Let’s talk. Jamie DeMarco is a former FCNL staffer, co-manages the MD Clean Energy Jobs Initiative; Phil Caroom is clerk of the Peace & Social Concerns Committee and leads the MD Alliance for Justice Reform. 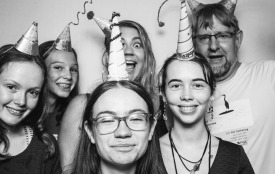 T4—Building a Culture of Multi-age Inclusion: Many Friends yearn for vibrant, intergenerational meetings; it’s often difficult to see how our Quaker culture can get in the way. We’ll examine cultural barriers to multi-age inclusion and the tools we can use to flip them. Come prepared to talk, move, write, and draw our way through this work! Emily Provance has facilitated workshops at Powell House retreat center and in a variety of local meeting settings, working across generations. T6—Inward Truth, Outward Witness: The Future of Quaker Testimonies—A 3-day series: Simplicity, Peace, Integrity, Community, Equality, Stewardship – in recent years ‘SPICES’ have become ‘TOOLS’ for how Quakers are to ‘LET OUR LIVES SPEAK.’ In three days of workshops we will engage our Testimonies—Thursday, as inward experience. You may take 1, 2, or all 3 workshops. Jim Fussell: during the past year has undertaken extensive study of the 20th century emergence of ‘SPICES’ as Quaker Testimonies at Swarthmore’s Friends Historical Library. T7—Shape Note Singing: Early American sacred music combines religious poetry with acapella, four-part harmony. Pitches are represented by different shapes of the notes to facilitate learning and make tunes accessible to all. All are welcome. Barbarie Hill was introduced to shape note singing in Ohio and has been a part of the Rivanna River Sacred Harp Singers since moving to Charlottesville. T8—Exploration of Discerning a Call: An exploration of the Quaker tool of discernment, particularly as it relates to discerning a call. How do you know if you’re called to something? What does a call feel like? How do you know the call is from God? Nikki Holland has been called to ministry in a number of capacities, most recently to start a Quaker house church in Mexico, to attend Earlham School of Religion, and to be the Director of Belize Friends Ministries. T9—Faithfulness Groups: Participating in a faithfulness group is like having an ongoing clearness and support committee. Members provide mutual assistance for faithful, Spirit-led lives. This workshop reviews the guidelines and practice skills that make these small groups a wonderful opportunity for spiritual intimacy and an aid for long-term faithful action. 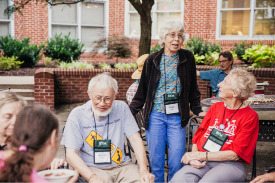 Marcelle Martin has participated in Quaker faithfulness groups and Shalem Institute-style peer groups for twenty years. T10—Finding the Spirit Everyday: Quaker writers, like Thomas Kelly, tell us that the Spirit longs for us, that the way of peace is always with us. How can we better focus on the Spirit’s guidance, comfort, presence? Let’s share ways we nurture our inner lives, and consider Quaker writings and practices for further inspiration. Marcy Seitel: In raising a family, finding life work, and being a busy Quaker, she has had plenty of practice with this subject! T11—Back from the Brink at Two Minutes to Midnight: Several Quaker Meetings in BYM have endorsed the Back from the Brink campaign, which aims to reduce the threat of nuclear war and ultimately to eliminate nuclear weapons. Why is this campaign so essential now, and what is the special role of Quakers in its implementation? Jean Athey is coordinator of Peace Action Montgomery (MD) and a founding member of Prevent Nuclear War/Maryland. Jean is past co-chair of the Board of the national organization Peace Action and is on the BYM Peace & Social Concerns Committee. CLMF: Lowering Racial Barriers in our Meetings: BYM is committed to removing racial barriers that prevent the Yearly Meeting and Local Meetings from realizing our vision of being more ethnically diverse. In this session both Friends of color and white Friends will connect, listen, and share their experiences in working to remove those barriers. David Etheridge is a member of the BYM Growing Diverse Leadership Committee and Clerk of the Working Group on Racism. Peirce Hammond is a member of the Working Group on Racism and Clerk of the Growing Diverse Leadership Committee. F1—Honoring Promises—Justice in Indian County: (film and discussion) 100 Years: One Woman’s Fight for Justice. Elouise Cobell, exemplar yet traditionalist, received the Medal of Freedom for successfully securing justice for Native people. Join us in learning about a modern Native woman taking on the Federal Government—and Winning! What were the roots of this injustice? What fruit now? Patricia “Pat” Powers former director of FCNL’s Native advocacy program, consistent Native advocate. Sue Marcus, Co-clerk of BYM Indian Affairs Committee; former USGS national Tribal liaison, former board member of the Society of American Indian Government Employees. F2—Tools to Connect Each Other to Nature: After discussing “marketing” tools for drawing people into the native plant movement, we will photograph and document some of the plants and wildlife in the Hood College neighborhood, using either smart phones or regular cameras. Smart phone owners: please download the free iNaturalist app ahead of time. Margaret Fisher is one of the organizers of the Plant NOVA Natives campaign (which works to inspire people to use their own properties to provide wildlife sanctuaries) and an enthusiastic insect photographer. F3—Inward Truth, Outward Witness: The Future of Quaker Testimonies: Simplicity, Peace, Integrity, Community, Equality, Stewardship—‘SPICES’ have become ‘TOOLS’ for how Quakers are to ‘LET OUR LIVES SPEAK.’ In three days of workshops we will engage our Testimonies. Friday: guidance for community. You may take 1, 2, or all 3 workshops. Jim Fussell. F4—Sitting with Ambiguity: Lessons from Intervisitation: Traveling ministry is a practice that BYM has revived to connect with the wider Quaker community to witness and honor, to acknowledge similarities and differences, and to engage in “holy listening.” Intervisitation WG will share experiences of our ministry of presence with attention to how this ministry may serve our troubled world. Joan Liversidge and Jade Eaton have traveled among Friends as ministers of presence and are eager to share their experiences and engage Friends in applying this practice. F5—Panel Discussion on Supporting Public Ministry: Join a panel discussion on how our meetings have supported vital ministries in our community and how we can grow this work, featuring experienced public ministers in the yearly meeting. Linda Coates is a longtime member of Intervisitation Working Group. Windy Cooler is a public minister who has traveled under the care of BYM. F6—Acknowledge the Darkness; Embrace the Light: Using Poetry, we will engage in discussion and contemplation on how to celebrate the joys in our lives while at the same time accepting our pain and the pain of others. Participants may bring a favorite poem to share, but not required. Sheila Kryston and Debbi Sudduth—are retired therapists and members of Goose Creek Friends Meeting. F7—Facing Our Fears in Tumultuous Times: Whether you are just trying to stay grounded during scary times or building your courage muscles to follow a bold calling, this interactive workshop will explore Quaker tools to help us face our fears, so we can be more faithful. Eileen Flanagan, former clerk of Earth Quaker Action Team, has helped hundreds of people deal with their fears both in her online courses on effective activism and in her years of teaching discernment at Pendle Hill. F8—Listening to Spirit in Spain: In 2016, Kendra Biddick spent 58 days walking on Camino paths from southeastern to northwestern Spain. She will show slides from her pilgrimage and discuss the spiritual awareness she gained that helps her speak to that of God in others. F9—Exercises for the Quiet Eye—A Quaker Way for Guided Looking at Art is a guided look at art. It fosters sensory, emotional and intellectual reflection, and patience. Rather than “figure out” images, we seek Tolerance of Ambiguity, sharing human experience across time and place. Annie Storr (Adelphi) is a longtime museum educator, a Resident Scholar in Womens’ Studies at Brandeis University, and teaches Museum Studies at Harvard. Tara Tappert (Friends Meeting of Washington) is an independent art scholar, whose calling is art-making and exhibitions by military veterans. F10—Let’s Go To Camp! Field trip to Catoctin Quaker Camp: We will take a ride to Catoctin Quaker Camp to visit one of the places where we run our Summer Camps. We will look at the new bathhouse, tour the facility, and learn about what is being done to improve the health of the forests at Catoctin. Departure: 1:15; Return: 4:00 David Hunter, BYM’s Camp Property Manager, served as Camp Director at Catoctin for several years in the late 80s and 90s. F11—Vegan Cooking—nutritious and cheap—the basics: We’ll hear basic nutritional information about a vegan diet, offer pantry and recipe-finding tips, and cook a couple of delicious things during the workshop. Mary Campbell—vegetarian since 1977, vegan since 2014, excellent cook and cookbook conoisseur. F12—Spirit-led Caregiving Before and During a Crisis: If you love someone, you may find yourself in a caregiving role. In this workshop, leaders will guide you through a series of queries and discussion to prepare our hearts and minds for ongoing caregiving challenges and for those to come. Katherine Cole, Elizabeth Willson, Abbey Compton. Katherine is a retired family physician and active caregiver to multiple family members. Elizabeth is a health care administrator with substantial personal experience with end-of-life care. Abbey has a decade of hands-on eldercare experience and runs both a three-generation household and a small business. CLMS—How to Grow Our RE Program While Celebrating our Current Programs: Many Meetings have experienced shrinking attendance in their RE programs. This presents challenges in designing our current programs and leads us to ask “what should be our response?” We will share our, current strategies and brainstorm others. Ellen Arginteanu and Marcy Seitel bring many years of experience in teaching and organizing Religious Education programs with strong commitment and passion. S2—Run for Democracy (Or Help Someone Else Run): Navigating Electoral Politics; a tool neglected by Friends. Friends participate in demonstrations and rallies; FCNL leads lobbying. This workshop provides primarily information through presentation and some discussion about skills in how to run for office or to support people who do. Regardless of your ability to talk to strangers, there is always a place to help. J.E. McNeil, First Amendment attorney and member of FMW, has spent more than 50 years engaged in electoral politics and 16 years protecting voters rights. S3—Inward Truth, Outward Witness: The Future of Quaker Testimonies: Simplicity, Peace, Integrity, Community, Equality, Stewardship—‘SPICES’ have become ‘TOOLS’ for how Quakers are to ‘LET OUR LIVES SPEAK.’ In three days of workshops, we engage our Testimonies. Saturday: as outward witness in the wider world. You may take 1, 2, or all 3 workshops. Jim Fussell. S4—What is Quaker about Quaker Advocacy? How do Friends stay spiritually-centered and resilient in the face of challenges and obstacles for peace and justice? Discuss our lived experiences, struggles, and strengths. Grow and nurture faith practices that help us in advocacy work. We will share findings within the group. Christine Ashley is the Quaker Field Secretary at FCNL, training Friends in advocacy. Shoshona Abrams is the National Field Organizer. S5—Quakers in Palestine: Ramallah Friends School and the Military Occupation: Under military occupation in Palestine, a Quaker school is thriving. How are Quaker values providing hope and building a foundation for a peaceful, just future? How does the Israeli-Palestinian conflict affect daily life? What might the future hold for this troubled region? Arthur Meyer Boyd and Margaret Boyd Meyer spent 6 months at Ramallah Friends School and traveled in Israel seeking to gain perspective from both sides in 2018-2019. 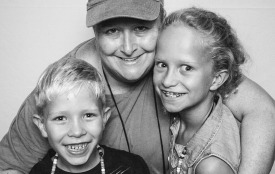 S6—Quaker Family Life: An Open Conversation About the Research: In 2018 Windy Cooler, supervised and supported by ESR and BYM, attended eight yearly meetings interviewing Friends about the health of families in our community. The results of these conversations are fruitful and of interest to Friends. In this workshop we will hear and respond to the research with emphasis on next steps. Windy Cooler is a current MDiv candidate at ESR and a member of Sandy Spring Monthly Meeting. S7—Praying for the World (and a little yoga): Using yoga to prepare our minds and bodies, we will follow Rex Ambler’s Listening to the Light practice, holding the World in the Light and seeking clarity. Participants should bring a yoga mat, towel and one or more pillows. Debby Churchman, Member of Friends Meeting of Washington, is a yogi and peace activist. S8—Soulful Singing: Strong and shy singers are welcome to join this circle of f/Friends singing rounds, spirituals, sacred chants, peace, fun, and world songs in the oral tradition. No experience necessary. Let’s sing our love and joy into the world! Ruth Fitz carries an embraced ministry of music from York Friends Meeting through which she leads singing in a variety of Quaker circles from BYM’s Friendly Sings, Spiritual Formation Retreats, Annual Sessions, and JYM, to Arizona’s Half Yearly Meeting. S9—Theological Diversity in BYM: Do our Monthly Meetings embrace theological diversity? Does this diversity include those not believing in God or an afterlife, and those with traditional Christian beliefs? What role do beliefs play in our meetings? How can we communicate our theological diversity so as to be welcoming to diverse newcomers? Victor Thuronyi has been studying and writing about this topic. S11—A White Historian and a Black Poet Confront Lynching: Following her leading after the 2015 murders at Charleston’ s Emanuel AME Church, Susan Strasser provides historical perspective to people grappling with contemporary issues of race and racism. Marcia Cole will read her poem, “A Bitter Suite,” which is her own response to the phenomenon of lynching. Susan Strasser, Richards Professor of American History Emerita at the University of Delaware, is a prize-winning historian and author. Marcia Cole has won the College Language Association Creative Writing contest across three genres. S12—The Spiritual Opportunity of Decluttering: The mundane process of decluttering mirrors the spiritual process of forgiveness of self and others. This workshop includes lecture, visualization exercises, and light-hearted role-playing to explore how you can release what no longer serves you, discern “needful” from “acquired,” and use this freedom to better hear God’s still, small voice. Abigail Burford is a long-time Friend (NYYM) and one-time English instructor, now a professional declutterer.